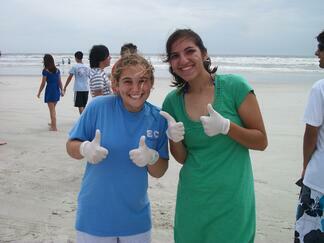 Volunteer coordinators help an organization run smoothly. They are the point of contact between the volunteers and the organization. However, not many people know about this challenging and important field. In order to understand what it means to be a volunteer coordinator, what skills it takes, and how one might get involved, I spoke with two volunteer coordinators at local organizations to gain their insight. Carole Whisnant is the volunteer coordinator for The Salvation Army in Greensboro, NC. She has been managing volunteers since 2008. Prior to coming to Greensboro, she was an office manager in Atlanta, GA where she also worked with many volunteers. Kelli Crawford is the volunteer coordinator at the Greensboro Science Center. She has been working in this position for three years now, and manages more than 750 volunteers a year. The responsibilities in a volunteer coordinator position are vital to the success of an organization. Whisnant explained that her primary job is recruiting volunteers for our various programs and services, and that this job requires her to “wear many hats”. Crawford elaborates on these different “hats” with something volunteer coordinators call the “Three R’s”—recruitment, retention, and recognition. In terms of recruitment, volunteer coordinators must find volunteers for programs and advertise any volunteer opportunities. At GSC, there are a variety of programs in need of volunteers, and part of Crawford’s job is making sure people are aware of those programs. 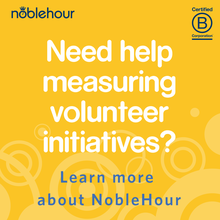 Volunteer coordinators are also responsible for making sure that the people who are giving up their time to the organization have all the necessary tools and information to do the most good. Retention depends on ensuring that volunteers feel like they are making a difference and getting the most out of the time they serve. Volunteers need to feel valued, and a volunteer coordinator makes sure they do. GSC has two formal volunteer recognition events each year. “We want our volunteers to be thanked often so they know how important they are to us. That makes them feel like they are a vital part of the organization” said Crawford. Local organizations that rely on volunteers also rely on skilled volunteer coordinators. It takes a certain type of person to keep volunteers informed and inspiring them to stay with your cause. Being organized, having the patience to work well with people, and communicating effectively are some of these most important skills a person needs to manage volunteers. For anyone contemplating a volunteer coordinator position, this is definitely both an exciting and difficult field. Whisnant and Crawford both advise that this is not a job for just anyone. “If you don't enjoy working closely with people then I would not recommend this field. Working with volunteers can be very challenging and demanding,” said Whisnant. Special thanks to my two interviewees Carole Whisnant and Kelli Crawford.